Monica Witt, who defected to Iran in 2013, is accused of revealing details of a Defense Department program. WASHINGTON — A former Air Force intelligence specialist who defected to Iran has been charged with conspiring to provide U.S. defense information to representatives of that country’s government, including the code name and mission of a highly classified program, the Justice Department announced Wednesday. Monica Elfriede Witt, 39, a former counterintelligence officer, is accused of revealing the Defense Department program as well as helping Iranian intelligence services direct hacking and identity theft attempts at her military co-workers. She defected to Iran in 2013 and is believed to be there now. 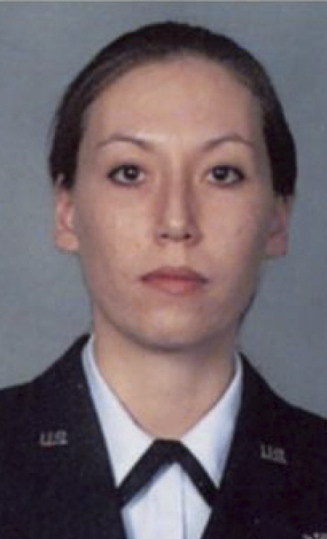 Witt was in the Air Force from 1997 to 2008. As a government contractor on classified projects from 2008 to 2010, she had access to sensitive government materials, officials said.